The DHU665CGB built-under conventional cooker hood from Bosch is designed to save space by mounting the hood beneath your upper cabinet or on the wall. 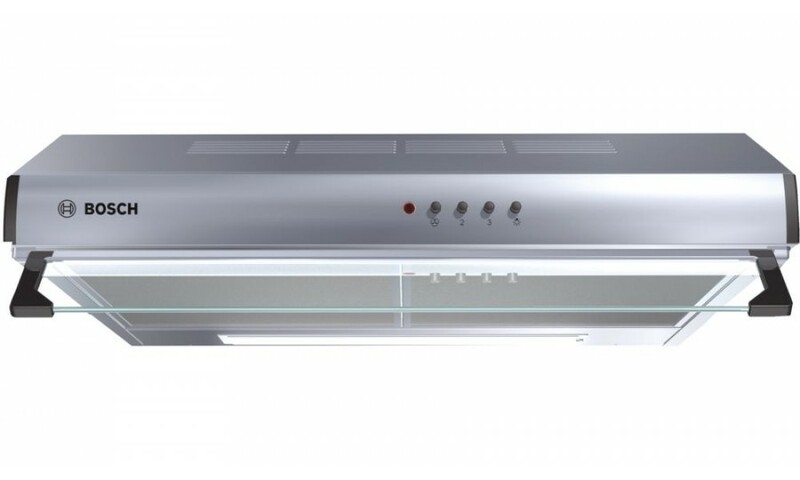 It features an extraction rate of 350 m3/h and quickly ensures optimal kitchen air quality. 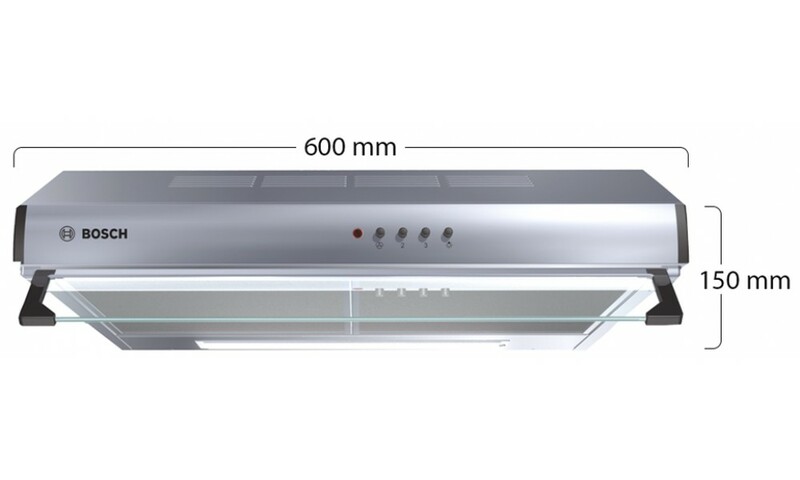 The hood is especially quiet and offers high performance at just 68 dB(A). It comes with a push button controls for 3 speeds and twin motor. The hood also features an adjustable glass visor and a dishwasher safe metal grease filter.